BERLIN (Bloomberg) -- Volkswagen AG, Europe's biggest automaker, said profit surged sevenfold last year and forecast higher earnings in 2011 on Chinese demand. The shares gained the most in four months. Net income increased to 6.84 billion euros ($9.42 billion) from 960 million euros, the company said Friday in a statement. Profit beat the 4.96 billion-euro average estimate of six analysts surveyed by Bloomberg. Revenue rose 21 percent to 126.8 billion euros. Volkswagen is counting on growth in Brazil, Russia, India and China to narrow its gap with Toyota Motor Corp., the world's biggest carmaker. VW forecasts deliveries will grow 5 percent this year after reporting a record 7.2 million deliveries of cars and SUV in 2010. Sales in China last year advanced 37 percent to 1.92 million. "These are very strong results," said Frank Biller, an analyst with Landesbank Baden-Wuerttemberg in Stuttgart, who recommends buying VW stock. "The operating business looks very solid, driven by sound demand from key markets including China." Volkswagen advanced as much as 7.05 euros, or 6.3 percent, to 119.50 euros, the most since Oct. 25, and was up 5 percent as of 3:34 CET in Frankfurt trading. The stock has dropped 2.8 percent this year, valuing the carmaker at 52.4 billion euros. Earnings before interest and taxes last year advanced to a record 7.14 billion euros, up from 1.85 billion euros in 2009, VW said Friday. 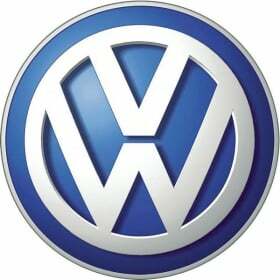 VW proposed a 2010 dividend of 2.20 euros per common share and 2.26 euros per preferred share. VW named SEB AB CEO Annika Falkengren and Qatar Holdings LLC Executive Director Khalifa Jassim Al-Kuwari to the supervisory board on Friday. Al-Kuwari will be the second board member for Qatar Holdings LLC, which has a 17 percent VW stake. RWE CEO Juergen Grossman and former E.ON AG manager Hans Michael Gaul will leave the board to make room for the new appointments, the carmaker said. Shareholders will vote on the changes at their May 3 meeting. Tight component supplies stemming from partsmakers' struggle to keep up with vehicle demand caused VW to halt production at its main Wolfsburg factory on Jan. 31 and a plant in Emden. The Audi luxury division announced plans yesterday to add 2,000 workers as it struggles to keep up with record sales. "We expect the group's revenue and operating profit in 2011 to be higher than the previous year," VW said in the statement. "However, the continuing volatility in interest and exchange rate trends and commodities prices will weaken the positive volume effect." VW said in November it will invest 51.6 billion euros through 2015 on plants, vehicles and developing the carmaker's nine brands worldwide. Spending doesn't include China, the manufacturer's biggest market, where VW's joint ventures will invest another 10.6 billion euros. Volkswagen announced on Thursday it plans to build more than 100,000 cars in Russia annually with GAZ, the automaker controlled by billionaire Oleg Deripaska. That comes on top of production at the carmaker's own factory in the country in Kaluga. "Volkswagen is extremely well positioned in lucrative growth markets," Aleksej Wunrau, a BHF-Bank AG analyst in Frankfurt with an "overweight" rating on VW stock, said before the results. "Sales took a slight hit in the fourth quarter but still performed better than the overall market." Volkswagen is facing challenges to complete a planned merger with Porsche Automobil Holding SE. The combination of the two carmakers, scheduled to happen in the second half, will probably be delayed until 2012 because of legal investigations into share-price manipulation allegations affecting the sports car manufacturer, Porsche said Feb. 23. Porsche and VW agreed to combine in August 2009 following a failed attempt by the Stuttgart-based company to acquire its larger rival. Investors claim Porsche misled them by denying through much of 2008 it intended to acquire VW. Porsche said in October of that year it controlled most of VW's common stock, causing the shares to surge as short-sellers raced to cover their positions. Porsche has denied the charges.